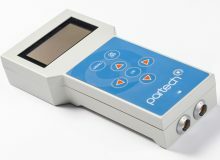 Partech Instruments: industry leaders in tailored, cost-effective water quality measuring equipment. Celebrating our 55th year of business, we pride ourselves on our accurate, British-built products and experienced team. We set the standard in customer support, believing that after-sales service is as important as innovative, environmentally friendly solutions. Our extensive knowledge and superb track record in human response has led to an established worldwide client base, with our products renowned for their reliability and ease of use. 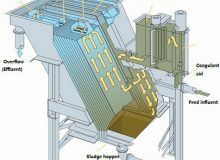 Lamella Clarifiers, also known as Inclined Plate Separators (IPS) are in common use at Waste Water Treatment Sites as small footprint plant settlement units and are often employed in place of conventional settling tanks. The new handheld water quality monitor is a simple, robust and accurate tool for measuring a full set of water quality parameters with a single unit. Partech's technology lead in electronic and mechanical product design, software development and production.